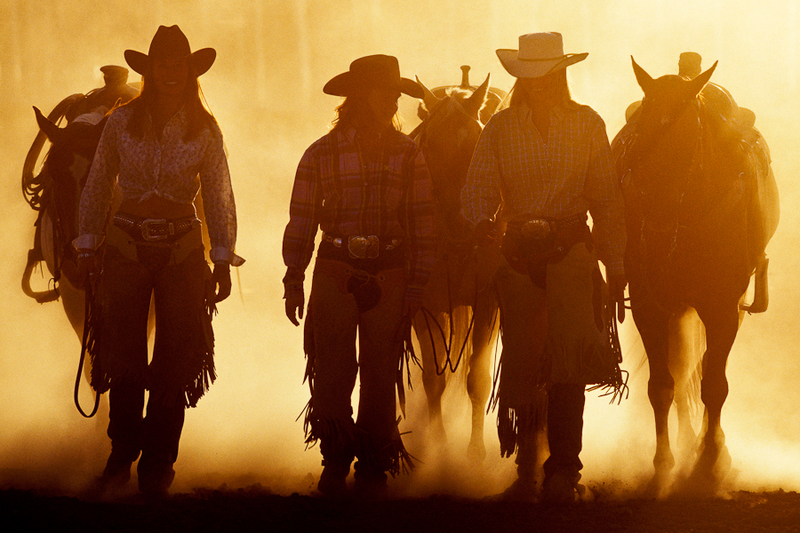 Picture a group of female lone rangers, each silhouetted against the setting sun with broad-rimmed hats tilted sideways to shadow their faces and holsters slung low around curvy waists. Then listen for that sound – you know it – the high-note whistle in American westerns that signals you’re watching a badass and something dangerous is about to happen. This rather stereotypical representation of a rebel…is not such a terrible way to characterize the empowered and stalwart women founders in Start-Up Chile. Start-Up Chile, or SUP as the government-backed program is called among fans, invites startup entrepreneurs from all over the world to spend six months in Chile bootstrapping their businesses with $40,000 in equity-free seed capital. In its first 3 rounds (including its pilot), SUP has welcomed almost 300 companies from over 33 countries. Yet only 26 of the 300 companies have female co-founders, and of that number, only 13 are founded solely by women. As the author of this story, I am one of those 13. Maybe you’re not surprised. Perhaps you’ve already heard statistics like this one: Despite comprising 51% of the population, women make up only 3% of the CEOs of Fortune 500 companies and hold only 15% of board positions. Or like this one: of 462 venture capital firms in the U.S., only one is led by a woman. But instead of another article rehashing those grim statistics and hypothesizing the origins, let’s look at the bright side and hear from the actual female founders who are actively working on their businesses, and as a result, helping to change the game for the next generation of entrepreneurs. Here’s what they had to say about participating in a startup accelerator far away from home. Do you feel nurtured in the Start-Up Chile program? But how is it being one of only a handful of female entrepreneurs? What do the men around you think? Any replicable coping strategies when you do feel alone? “I go for a run and watch the Social Network again for inspiration,” says Elsa (pictured right) with a wink. “All sole founders have a co-founder in their families. SUP substitutes for our families right now. So, when I feel alone, I go have two or three pisco sours with ‘my family’,” jokes Anne-Sophie. What are the biggest challenges that you think female founders face? “Not knowing enough about technology to talk the talk,” notes Sheryl Ryan (pictured right), the American founder of Greenopedia, which provides information on sustainability to people who want to make a difference. “Participating in incubator programs away from home is tough on relationships and families,” states Jasmine Aarons, a Stanford University graduate who works in Southern Chile on Voz, which helps Maphuche women weavers make clothes with high-end designs. What words of advice do you have for budding and currently bootstrapped female entrepreneurs? The next round for SUP is open and closes April 3rd. Take Jennifer’s advice and apply, especially if you are a woman. Let’s finally balance the gender scale in at least one accelerator in the world. Go to www.startupchile.org for more details. Jasmine Aarons, USA, Voz; Empowers Mapuche weavers in Southern Chile to make clothes with collaborative design innovation. Carolina Andrade, Ecuador, ANTU Design; Sells handwoven straw hats from Ecuador and works with artisans to develop leather and textile products. Krista Canellakis & Marisol Garcia, USA & Chile, Crowdplaces; Crowdsources innovation in urban community spaces. Elsa Chang, USA RideMatch Me; Uses mobile technology to enable people to share rides anytime, anywhere. Anne-Sophie Dutat, France, Vulevu; Offers lifestyle tips and deals on restaurants, romantic weekends, fashion products, etc. Sarah Eaglefield, England, Suddenvibe; Introduces European music to Latin America and vice versa through own record label. Shagun Malhotra, USA SkyStem; Develops solutions to improve the accounting ecosystem. Tara Roberts & Sejal Hathi, USA, girltank; Connects and supports young women social entrepreneurs and innovators. Sheryl Ryan, USA, Greenopedia; Provides sustainable information to people who want to make a difference. Charlotte M. Thornton, Canada, Chebel Companies; Builds the world´s first all-solar-driven refinery. Emily Toop, England, Radical Robot; Designs interactive iPad storybooks to help young children learn to read. Jennifer Turliuk, Canada, Koru; Helps people learn, share and trade skills. Rebecca West, USA, Por Mano; In stealth mode.